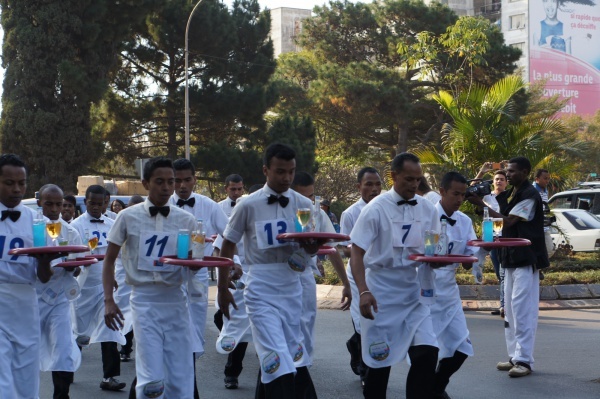 On Saturday the 17th May 2014, the 4th Waiters Race (Course Garçons de Café) took place in the centre of Antananarivo. 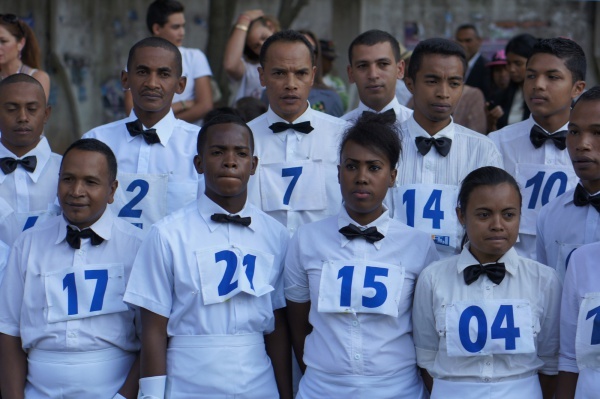 At this contest, service staff of various hotels and restaurants located in Antananarivo compete in running against each other. The event was organised by the Office National de Tourism de Madagascar and FHORM (Fédération des Hotelier et Restaurateurs Madagascar) to promote the good service and to say thanks to the service staff. Eric Koller, president of Office National de Tourism de Madagascar, gave the participants a motivational speech before the starting signal. A live music band and a traditional Malagasy dancing group entertained the numerous spectators. The starting and finishing line of the race was in front of the Hotel Carlton. The waiters had to race down Road Point de Sénat and back, each balancing a tray with 2 drinks and a bottle on one hand. The runners were supported and cheered to by their coworkers and the public. The winner was the waiter who was not only the quickest but who still had all the items on his tray. This page was last modified on 18 May 2014, at 08:50.